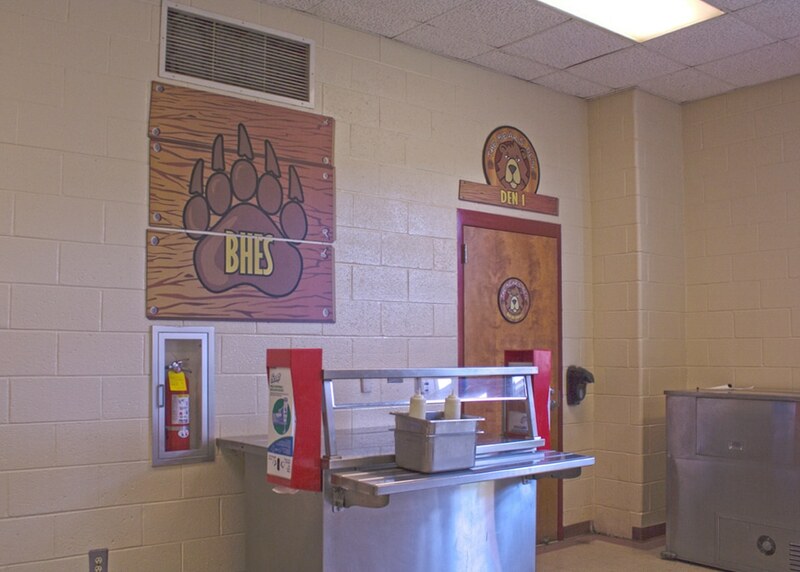 The Blandy Hills Bears growl with excitement as they enter The Bears Den Cafe. 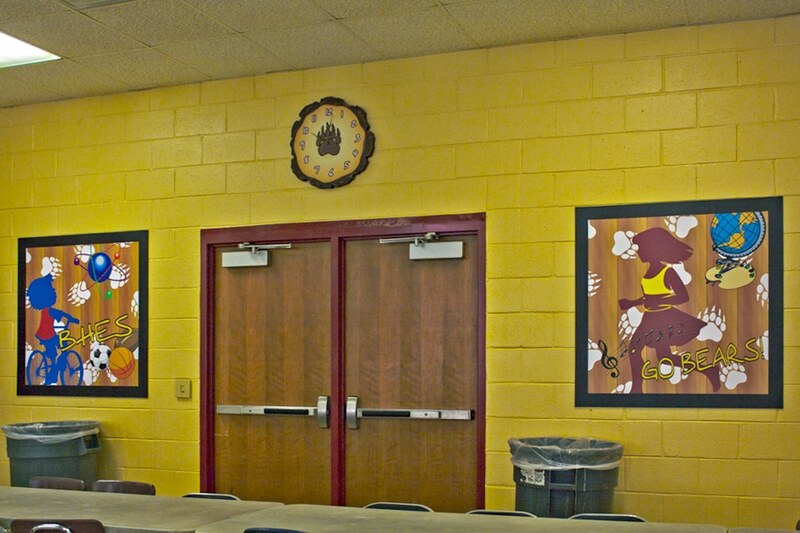 Rich burgundy accents and patterned paw print designs pop off the warm woodsy neutral background. 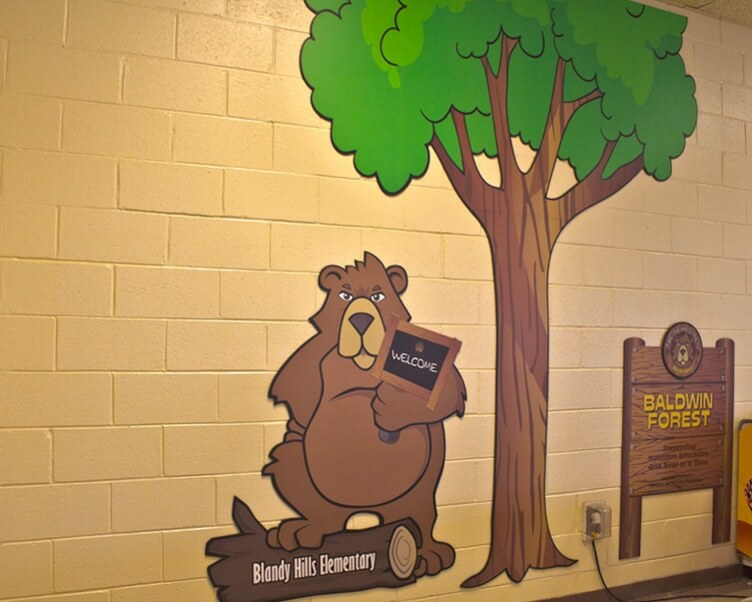 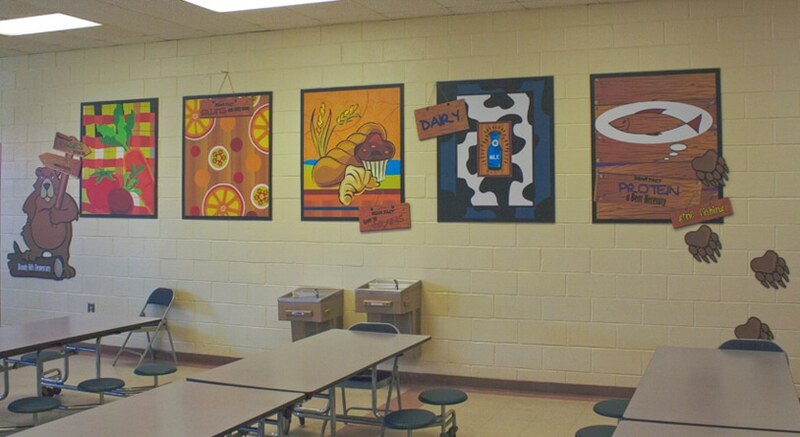 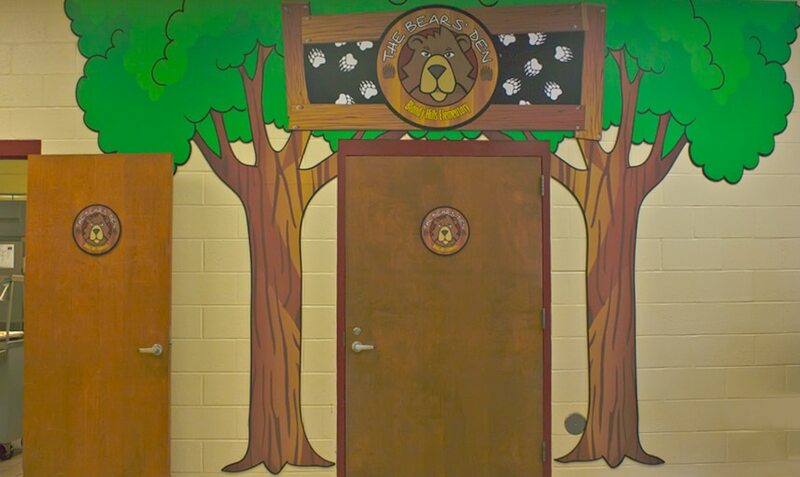 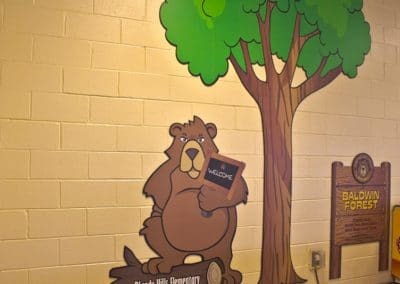 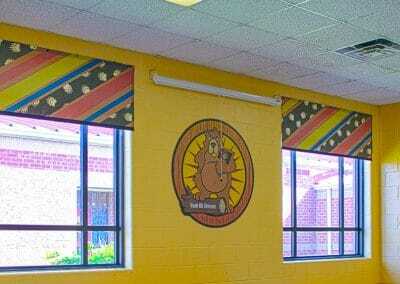 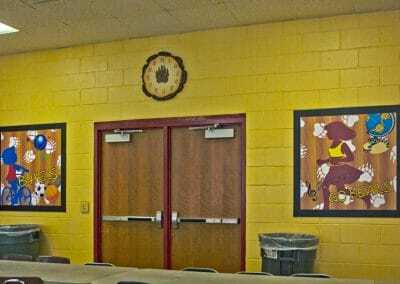 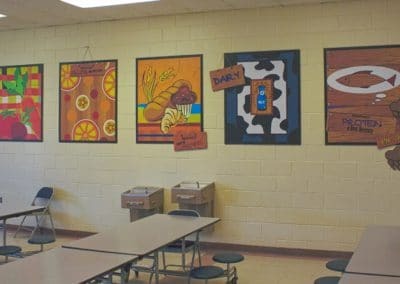 Colorful artful designs displaying a connection between nutrition education, character education and school pride will even make a Blandy Bear cave in to a Beary healthy lifestyle. 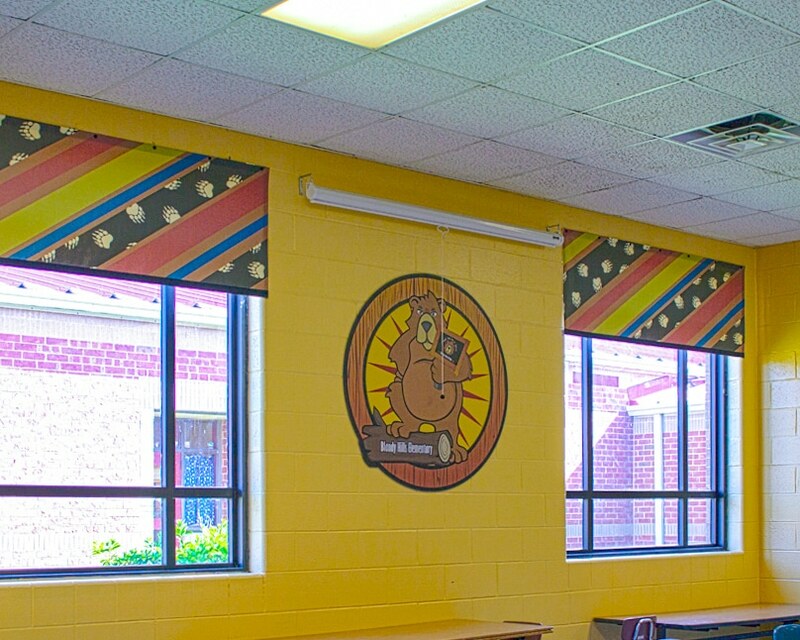 It is sweet as honey creating a comforting and engaging setting perfect for a Blandy Bear to settle in for a nutritious meal. 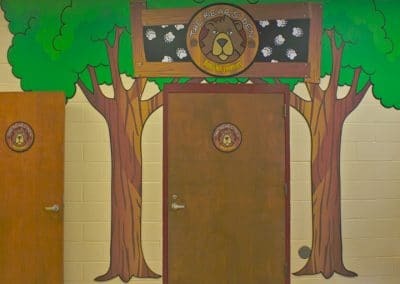 At The Bears Den Café come growl like the Blandy Bears and promote good nutrition and strive to take a bite out of obesity.